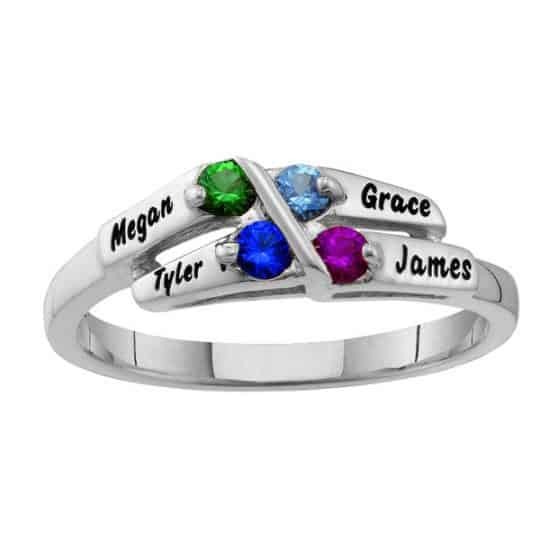 Your wonderful family surrounds you with love in this hand-crafted family birthstone ring. 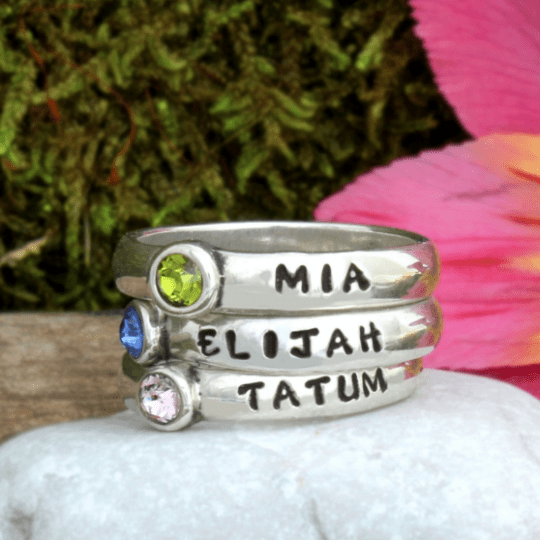 Solid sterling silver ring features the names and corresponding birthstones of up to 6 loved ones. 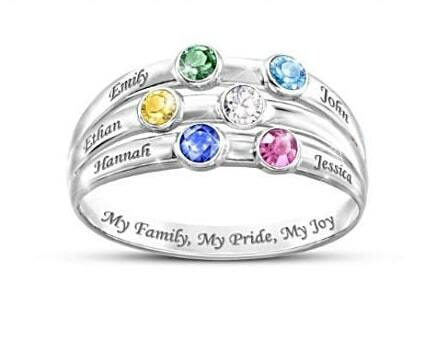 The inside of the band is inscribed, “My Family, My Pride, My Joy“.